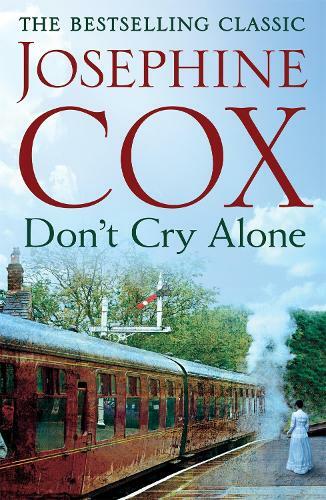 No.1 bestselling writer, Josephine Cox, is 'hailed quite rightly as a gifted writer in the tradition of Catherine Cookson' (Manchester Evening News). Don't Cry Alone is a compelling and heartfelt novel exploring the strength of love. Perfect for fans of Rosie Goodwin and Catherine Cookson. Beth Ward and Tyler Blacklock share a love they know will last forever. But Beth's mother, Esther, is jealous of the girl and seizes an opportunity to be rid of her daughter. Banished in disgrace from the family home, Beth takes the northbound train and alights at Blackburn, friendless and alone. On this day, Fortune smiles, for Beth is taken in by warm-hearted Maisie Armstrong, a widow with two children. Money is scarce, but love abounds in the cosy house on Larkhill, and Beth is content there to await the birth of her child. But she cannot forget Tyler, and is tormented by the belief that he has betrayed her . . .